2015 Summer Convention - Welcome CABOHOLICS! spend the rest of your week(s) doing what you enjoy most! Be sure to spend a lot of time relaxing! Also, there are all sorts of other things going at various places at the same time! You can take a trip to San Jose, Todos Santos, etc. at Cabo Blue if enough sign up. at The Caboholic Store / Cabo Cantina. crackers if you want to make smores. 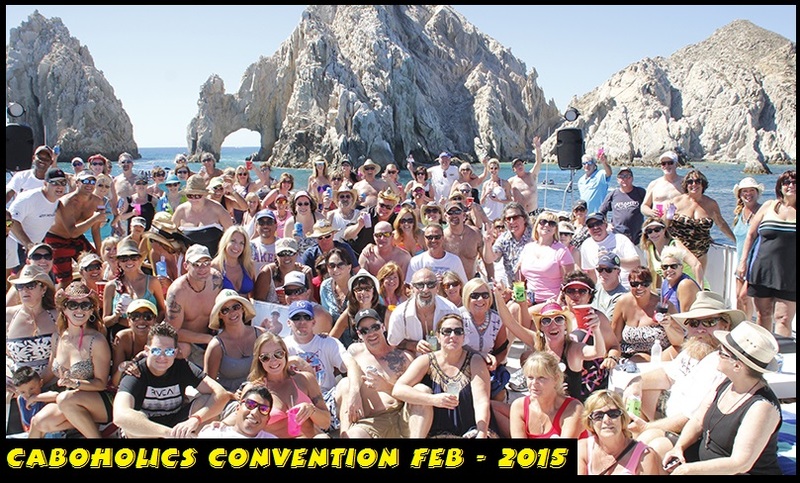 "CABOHOLICS SUMMER SNORKEL PARTY "
Book Now - Snorkel/Party Cruise aboard the Cabo Escape! Visit Cabo´s world famous arch at land´s end and then enjoy a scenic cruise up the Sea of Cortez, widely known due to its incredible sea life. We cruise over to Chileno Bay, upon arriving to chileno bay you can literally jump into the ocean to get an up-close view of the sea life. We supply you with the snorkeling gear and guide as well as a safe protected area designated for snorkeling. Enjoy plenty of time to explore the marine life of Chileno, One of the best snorkel spots in Baja. Afterwards enjoy a delicious lunch grilled before your eyes right on board along with open bar. Cruising back to Cabo enjoy the rhythms’ of reggae, Latin and light dance music. Our crew will enlighten you with fun and games as we cruise back to the dock. Includes: Domestic Drinks, Lunch, Snorkel Gear.